The 9-hole Blue at Riverwood Golf Course & Resort in Mount Pleasant, MI is a resort golf course that opened in 1925. Designed by Moss, Blue at Riverwood Golf Course & Resort measures 2232 yards from the longest tees. The course features 2 sets of tees for different skill levels. The 18-hole Bucks Run Golf Club in Mount Pleasant, MI is a public golf course that opened in 2000. Bucks Run Golf Club measures 6914 yards from the longest tees. The course features 4 sets of tees for different skill levels. Greens and fairways are bent grass. The 18-hole Mount Pleasant Country Club in Mount Pleasant, MI is a private golf course that opened in 1921. Mount Pleasant Country Club measures 6273 yards from the longest tees and has a slope rating of 131 and a 70.3 USGA rating. The course features 5 sets of tees for different skill levels. Located just south of Mount Pleasant, Pleasant Hills Golf Club is just a few minutes from Central Michigan University and Soaring Eagle Casino. True to its name, the course is spread across gently rolling hills dappled with mature trees. 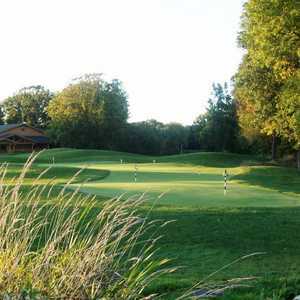 Pohlcat Golf Club in Mount Pleasant has a winding layout that crosses the Chippewa River multiple times. 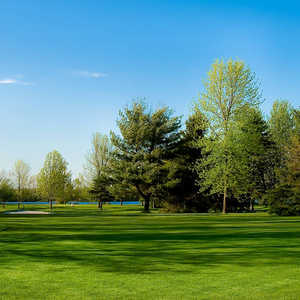 The course sprawls across a diverse landscape that includes mature woodlands, rolling grassy meadows, and natural wetlands. The 18-hole Red/White at Riverwood Golf Course & Resort in Mount Pleasant, MI is a resort golf course that opened in 1967. Designed by Bruce Matthews, Red/White at Riverwood Golf Course & Resort measures 6546 yards from the longest tees and has a slope rating of 135 and a 72. 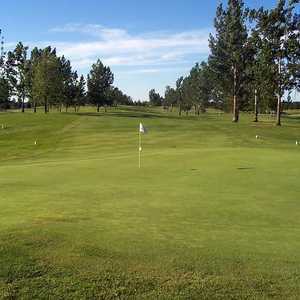 The 18-hole Waabooz Run Golf Course in Mount Pleasant, MI is a resort golf course. Waabooz Run Golf Course measures 3399 yards from the longest tees. The course features 3 sets of tees for different skill levels.